The BBC has released a statement confirming that Top Gear host Jeremy Clarkson will not have his contract renewed. An internal investigation, lead by Director of the BBC Lord Hall, revealed that the 54-year-old would be leaving his position after verbally and physically abusing producer Oisin Tymon. The news follows reports last night that the 54-year-old was set to lose his job, with Radio 2 presenter Chris Evans the favourite to take his place. 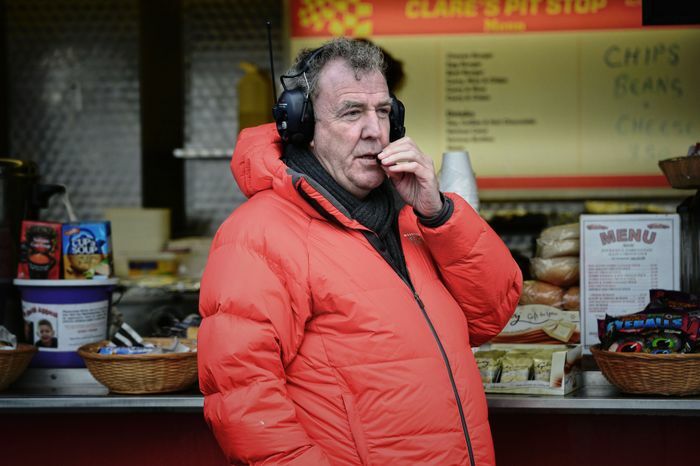 Speculation has been rife about whether the BBC would continue the lucrative series without Clarkson, however the statement confirmed the BBC would seek to carry on the series. It is currently unclear whether Richard Hammond and James May will continue to host the show without their mate. James May has been talking to reporters outside his home, and has given a strong hint that he will leave Top Gear. The man responsible for firing Jeremy Clarkson has explained his decision. Clarkson’s co-hosts have taken to Twitter to update on their situation, with James May further hinting that he will not continue on the show. North Yorkshire Police have released a statement saying that they are liaising with the BBC to find out if a criminal charge can be brought forward against Clarkson.